by Liesbet Slegers age range: 2 to 4 years old Clavis Books Airplanes are always a source of fascination for kids. There are so many things to ask about them! While telling about what pilots do, this book also guides the reader inside a plane, and instructs about how it flies. From what a pilot wears to a nice and safe landing, we meet the flight attendants and the cockpit; we read about the control tower and the runaway; we checked the fuel, wind, height and speed; we knew about seat belts, snacks and drinks; we learn about wheels and wings; and of course we enjoyed beautiful sights from above. 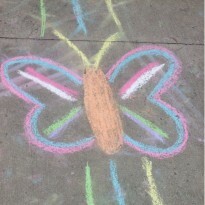 The illustrations are simple and colorful. The page layout reminds me a books I used to read when I was a toddler, with a full picture on the right side, and a white page with the text and a small picture of a detail on the left. It is interesting. It encourage questions. It makes you feel like you learn something new and amazing. 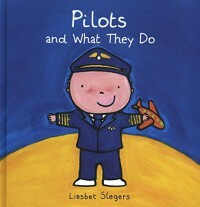 The author also plays with the idea of many kids dreaming about being pilots when they grow up. In summary, a very good non fiction picture book for little kids on a attractive topic. I received this copy from the publisher via NetGalley in exchange for an honest review.